Huawei has recently unveiled the successor of the Nova Plus phone titled as the Huawei Nova 2 Plus. 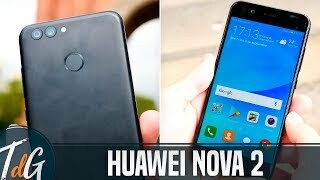 There are some major differences both inside and outside the phone which we will discuss in detail including the Huawei Nova 2 Plus Kuwait price and specs. There is no change in the screen size in the Nova 2 Plus which leaves us with the 5.5-inch screen showing the same 1920 x 1080 pixels resolution and 401ppi of pixel density. However, it’s quite thin at 6.9mm and weighs about 169g. There are some major changes outside as this phone now comes with metal body and some great color options: blue, black and green. It looks quite similar to the Huawei P10 as the antenna bands in this one are blended into the body like the iPhone 7 and iPhone 7 Plus. 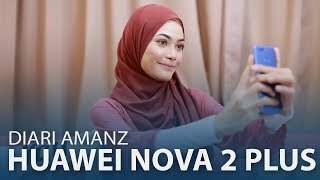 There is the Huawei Nova or Huawei Nova 2 if big screen is not something you want. 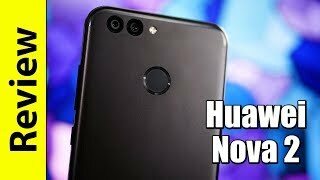 As a lot of phones are following the dual camera trend including some Huawei phones, it shouldn’t come as a shock to see dual camera on the new Huawei Nova 2 Plus. This phone comes with a 12-megapixel and an 8-megapixel rear camera and is capable of capturing 1080p videos at 30fps. There is a new feature called Moving Picture which works just like Apple’s Live Photos and you get to capture a short video instead of still picture. The 20-megapixel front camera is also nice to have but don’t expect great results because of the megapixels. Capturing selfies might be a problem in low light due to the small sensor. For those of you who are only after a good camera phone, there is the OnePlus 3T and Google Pixel which are almost in the same pricing range as the Huawei Nova 2 Plus Kuwait price. You can take a look at these phones while waiting for the Huawei Nova 2 Plus release date Kuwait. Users get a Huawei made processor instead of the Qualcomm Snapdragon chip which is Kirin 659. This octa-core processor has been paired with 4GB of RAM and offers smooth performance when running Android 7.0 Nougat which is what you get in this phone as your operating system. There are some changes in storage as well as this time users get a whopping 128GB built-in storage and a microSD card slot. Battery life can be a hit or miss with the Li-Po 3340mAh battery inside but it does support fast battery charging. All the other necessary features are there including Bluetooth 4.2, Wi-Fi 802.11, USB 2.0 port, Type-C 1.0 port and GPS. Surprisingly, the Huawei Nova 2 Plus costs around 100 KWD which is slightly more than phones like Huawei Honor X or the Xiaomi Redmi Note 4X. It has been released already but not globally which means you will have to wait for the Huawei Nova 2 Plus release date Kuwait for now. 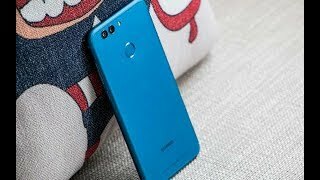 Huawei Nova 2 | a worthy successor? 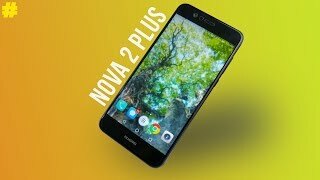 Huawei Nova 2 Plus: 3 Months Later Real Review! Price has decreased 30% from KWD 119 on 2017-10-04 to KWD 83 today.